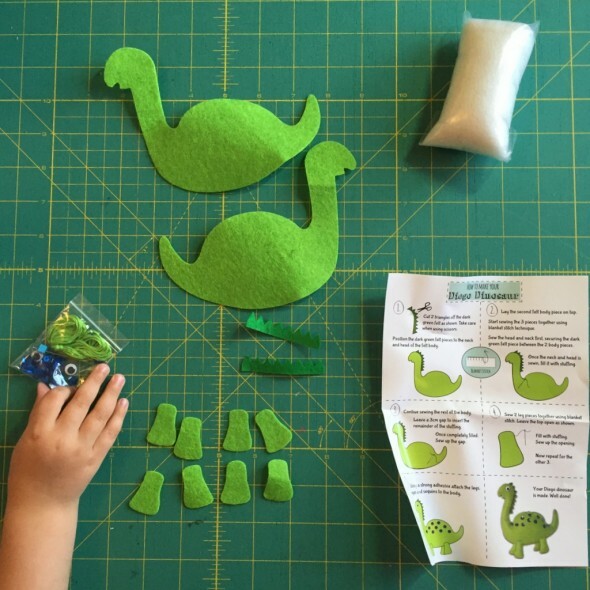 I’m not even sure if I can count this as our first sewing project, but it’s our first attempt. 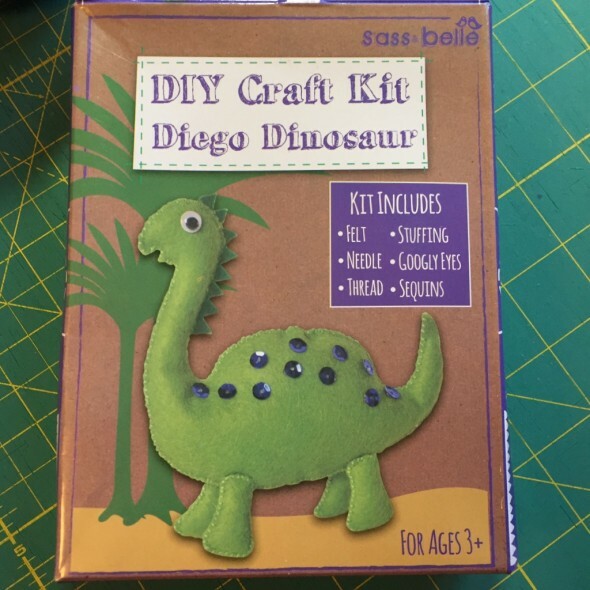 I bought this adorable dino kit on our UK trip and thought it would be a really good place to start with H and sewing. And it was a great little kit! Very straightforward, everything we needed was there to hand sew this little guy. But H was more interested in playing with the sequins than in stitching. She did help me trim a few pieces, and she pulled the needle through the felt twice. But I did the rest, which is completely fine. 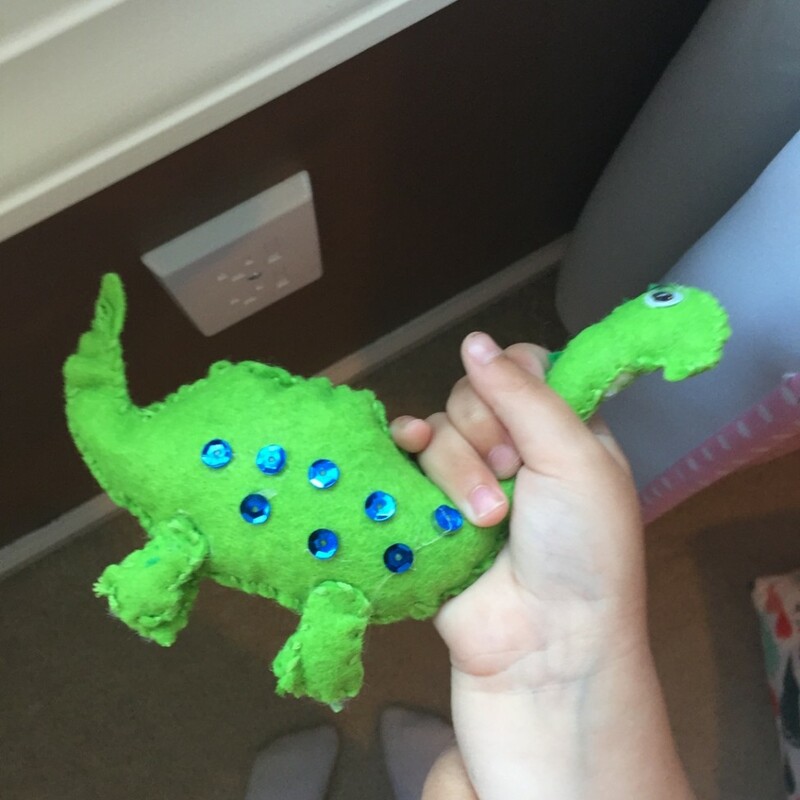 She loved the dino when he was finished, and she was proud of herself for helping. He’s joined her ever growing dinosaur collective. And, she saw the process. This toy did not appear magically from Santa, a birthday party or a shopping trip. It was pretty neat to have her participate.